Chris Arreola isn’t the most talented heavyweight contender we’ve ever seen, but few have graced the ring with more courage. Arreola on Saturday challenged Deontay Wilder for his heavyweight world title at Legacy Arena in Birmingham, Ala. Arreola was decked in the fourth round and rocked again after getting to his feet. He somehow made it out of the round before eventually being stopped after eight rounds. He explained how he did it. Arreola (36-5-1, 31 KOs), of Riverside, failed for the third time to become the first fighter of Mexican descent to win a major world title at heavyweight. It’s doubtful he’ll get a fourth opportunity, as the 35-year-old was thoroughly dominated by Wilder. Wilder (37-0, 36 KOs) broke his right hand and sustained a right biceps injury as well in the fight, otherwise he might have been able to get Arreola out of there sooner. Chris Arreola of Riverside on Saturday showed the courage he typically does in a fight, but it wasn’t nearly enough in his challenge to heavyweight champion Deontay Wilder. Wilder decked Arreola in the fourth and otherwise battered Arreola for eight lopsided rounds, Arreola’s trainer Henry Ramirez asking referee Jack Reiss to stop the fight before the ninth at Legacy Arena in Birmingham, Ala.
Wilder (37-0, 36 KOs) gets credit for an eighth-round TKO and has now made four successful title defenses. Wilder apparently broke his right hand in that fourth round and also tore his right biceps. Arreola (36-5-1) for the third time failed to become the first boxer of Mexican descent to win a major title in the heavyweight division. He was also stopped inside the distance by Vitali Klitschko in 2009 and by Bermane Stiverne in 2014. Shortly after the bout had ended, Ramirez responded to a text message to say that Arreola was “in good spirits” and that he was getting “stiched up.” Arreola was cut and his left eye was nearly shut. Wilder says he now wants the other champions. Chris Arreola at 6-foot-3 is four inches shorter than Deontay Wilder. But Arreola on Friday weighed in 20 pounds heavier than Wilder for their heavyweight title fight Saturday from Legacy Arena in Birmingham, Ala. (on Fox). Arreola tipped the scales at 246.2 pounds with the 6-7 Wilder coming in at 226.2. Wilder, of Tuscaloosa, Ala., is 36-0 with 35 knockouts. He’ll be looking to make the fourth successful defend of his title. Arreola, of Riverside, is 36-4-1 with 31 knockouts. He will be trying for the third time to become the first fighter of Mexican descent to win a major heavyweight championship. 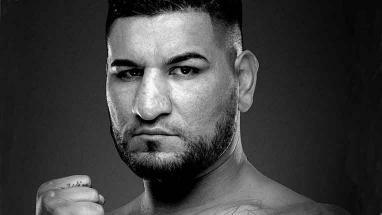 Chris Arreola knows he doesn’t really deserve the title shot he’s going to have Saturday when he challenges Deontay Wilder for his heavyweight world title at Legacy Arena in Birmingham, Ala. (on Fox). Arreola has admitted as much. Based on Arreola’s recent work – he’s 1-0-1 with a no-decision in his past three bouts – Wilder knows that, too. What Wilder (36-0, 35 KOs) seems to care about more than anything, however, is what Arreola (36-4-1, 31 KOs) will bring to the fight – backbone. When Chris Arreola challenges Deontay Wilder for his heavyweight world title Saturday from Legacy Arena in Birmingham, Ala., he’ll be doing so in front of Wilder’s fans as Wilder is from Tuscaloosa, Ala.
That would seem to make Arreola even more of an underdog than he already is, but he claims he’s not worried about that part of his task. Arreola (36-4-1, 31 KOs), of Riverside, will be trying for the third time to become the first fighter of Mexican descent to win a major heavyweight title. 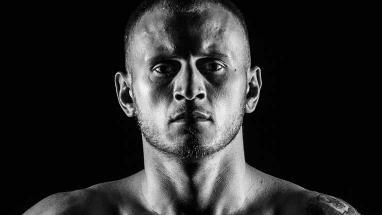 He was stopped inside the distance by Vitali Klitschko in 2009 and by Bermane Stiverne in 2014. Wilder is 36-0 with 35 knockouts and will be looking to make his fourth successful defense. Arreola-Wilder will be televised live on Fox. Deontay Wilder is 36-0 with 35 knockouts. To say he has been a knockout artist, would be an understatement. In Wilder’s mind, Chris Arreola (36-4-1, 31 KOs) is tailor-made for him in this regard. “When it comes to Deontay Wilder, people look for the knockouts and I deliver,” said Wilder, who will defend his heavyweight world title against Arreola on Saturday from Legacy Arena in Birmingham, Ala. (on Fox). “What separates me from other heavyweights is the fashion in which I knock guys out. I don’t just knock you out, I really put you out. Chris Arreola had one chance to beat Vitali Klitschko when the two tangled for Klitschko’s heavyweight world title in September 2009 at Staples Center – get inside on the 6-foot-7 Klitschko. Arreola couldn’t, and he was stopped after 10 rounds. Arreola this Saturday is challenging another champion standing 6-7 – Deontay Wilder. They will square off at Legacy Arena in Birmingham, Ala. (on Fox). Arreola (36-4-1, 31 KOs), who stands 6-3, was asked during a recent conference call if he learned anything fighting Klitschko that could help him against Wilder. “The main thing is I got to move my head, man,” said Arreola, of Riverside. “Vitali Klitschko clobbered me with jabs left and right. I believe he threw the most punches he had thrown in his career against me, and that’s because I just kept coming with the pressure. Arreola said he must keep Wilder (36-0, 35 KOs) on his heels. Arreola will be trying for the third time to become the first fighter of Mexican descent to win a heavyweight world title. He was stopped in the sixth round by Bermane Stiverne in his second try in May 2014.
defense is interesting because Arreola is 1-1-1 with a no-contest in his past four fights. The no-contest came after Arreola defeated Travis Kauffman this past December in San Antonio, only to have the victory taken away when he tested positive for marijuana. Arreola this week was taken to task on the pot test as well as the notion he does not deserve this shot. (expletive) idiots. This is my opinion, OK? So, they want to take my win away over that, whatever, fine, take my win. I don’t care. To Arreola (36-4-1, 31 KOs), that means he should do all he can to take advantage of it. Arreola has failed in two previous title shots, being stopped inside the distance by Vitali Klitschko and Bermane Stiverne.